Update from recent trip to Japan as well as the overall sablefish market. Ambassador meeting on March 27, Sitka, AK. We just returned from a trip to Japan yesterday. The main purpose of the trip was to touch base with current customers and to explore new customer markets. In the last few years, the main products that SPC sells into Japan are sablefish, idiotfish(kinki), green chum roe and some miscellaneous items. Japan is not a very active salmon market for SPC. We mention salmon whenever we touch base with Japan, but the Japanese are mainly involved with farm salmon and wild sockeye. Japan has been for many years the main market for sablefish. In the late Eighties, Japan imported 30,000 mt (66,000,000 lbs.) of sablefish annually. As sablefish has gained a global market and as prices have gone up, the Japanese imported number of sablefish the current has dwindled to around 7,000 mt (15,400,000 lbs.). That is still a lot of pounds but you can see that the Japanese sablefish market is much smaller. That 7,000 mt of imported sablefish includes both Alaska and the WOC (Washington, Oregon, California) fisheries. Last year at this time, Japan was faced with a large unsold inventory of high-priced inventory from the 2017 fishery. Sales to Japan were sporadic and slow last year until at least mid-2018 season. Prices were way down from the 2017 season. This year, Japan’s sablefish market is again having problems but for a different reason. Japan is finding that even their current inventory prices are not moving well, other than the cheapest sizes, 1-2 and 2-3 lb. fish. Japan has had real difficult times selling their 3-4 and 4-5 lb. sized inventories. The smaller sized sablefish are moving in the retail markets. The larger 3-4# and specifically 4-5# are not moving well at all. What that relates to is that Japan’s current frozen inventory which is about 2-3,000mt is mostly made up of 3-4# and 4-5# fish. Japan is sitting on enough inventory to get them through the end of May. To make matters more confusing, there are still some USA producers holding on to sizeable inventories of 3-4, 4-5 and 5-7# sized sablefish. Those processors are having a difficult time talking customers, and particularly Japan into cleaning up those inventories. When the season opens, those Japanese customers who are holding on to sablefish inventories will not be looking to buy any new stock unless prices are low. If Japan is your main sablefish market for u/5 sized fish, you will have problems when the season opens. Fortunately, we have several new sablefish customers in Japan who are not holding much inventory. They were a lot more positive about the upcoming season than our traditional Japanese customers, who we also spoke to. It is very clear that Japan will not be the best market when the season opens. That is why we have made a big effort over the last couple years to diversify our sablefish markets outside of Japan. We will be looking to improve and expand our non-Japanese sablefish customer base this year. Those markets specifically involve China and the US. Our Chinese customer is looking to purchase a large percent of our u/5# sablefish if the USA/China tariff issue moderates. Right now, that looks more positive than it did several months ago. The other market that we look to expand is the USA market. We already have had good sales for the larger fish in the USA. This year we plan to expand our fillet market and move more of the 3-4 and 4-5 sizes to the USA. 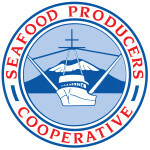 We will be having a SPC Ambassador meeting in Sitka on March 27th, the Wednesday before the Thursday board meeting. New Sales rep Kirk Hardcastle will be present and will provide his input as to what will be next with this program. Kirk’s first day at SPC was March 1st. If you are interested in the SPC Ambassador program, please set some time to join us on the 27th. We will provide time and place information in the next couple weeks as we get those details put into place.